Fell back during the Run to the North. 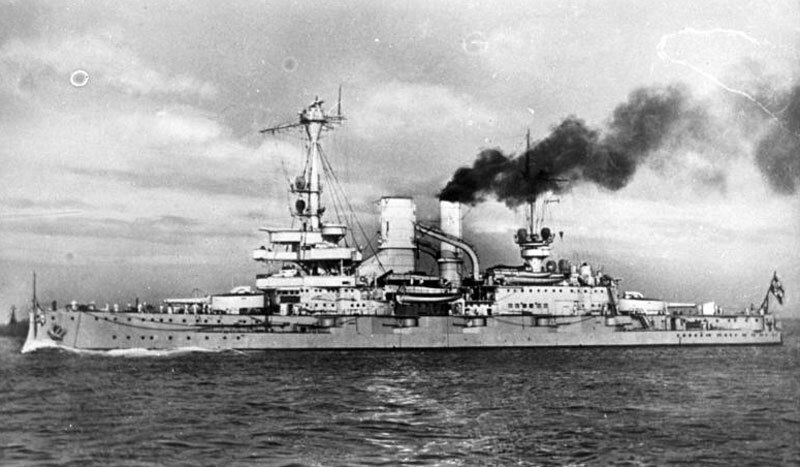 When meeting the Grand Fleet, Scheer&apos;s decision was a difficult one as a run for German harbours would have meant him having to sacrifice the slow Deutschland class ships in his line. Followinfg the first battle turn, these slower ships fell in on the disengaged side of the line. The main guns were not fired as visibility was so bad. 21:35 hit by a heavy shell on her port side, knocking out a casemate gun, killing 3 and wounding nine sailors.